The bee pollen is the male seed of the flowers blossom, which is collected by the honey bees. It represents the main food source for the bees and contains proteins, minerals, fats and other substances, which are essential for their survival. Collecting the nectar from the flowers, the honey bees pollinate them. Without pollination, the humanity would live only for no more than 4 years, they say Einstein said that. You don’t have to be a genius to realize that without pollination, flowers disappear, insects disappear, animals and humans disappear. In the USA and some other countries, peasants pay the beekeepers for their bees’ pollination services. Bee pollen is not the pollen that is carried by the wind and causes allergy. 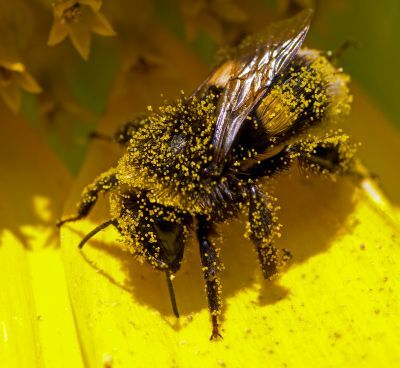 Actually if you suffer from these allergies, there are therapists that recommend small doses of raw bee pollen, which will act like a vaccine, and help the body protect itself against the symptoms of hay allergy (the pollen taken by the wind). 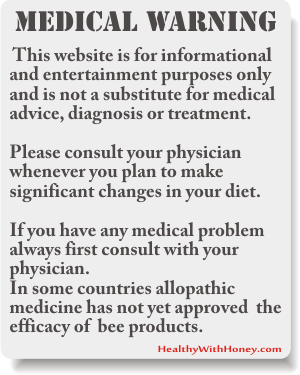 Or why not, try bee venom therapy. It has a very good rate of success. How is the pollen gathered? The bee lands on the flower’s blossom and touches the stamen. Its body is covered with pollen dust. The bee uses the hind legs to compress the pollen into the pollen baskets. It moistens the pollen with secretion from its mouth which helps the pollen cling together. A load of pollen has like 8 mg and for this, a bee has to visit almost 200 flowers. A honey bee does approximately 10 trips a day to gather pollen. 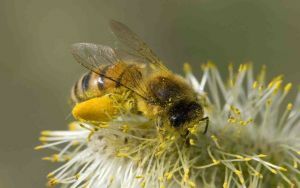 Once the bee enters the hive, the pollen is removed from the rear legs by a spike on the mid legs and is placed in cells. Honey is added to maintain pollen quality. How is bee pollen stored? 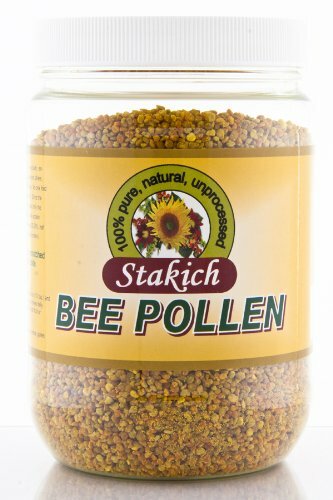 Fresh bee pollen The fresh collected bee pollen contains about 20-30 g water per 100 g. (it depends a lot on the atmospheric conditions) This is a high humidity and it’s an ideal medium for bacteria and yeast. This is why the pollen should be harvested daily and placed directly in the freezer. In two days all pest insects are killed. After the thawing, the bee pollen can be kept only for a few hours. 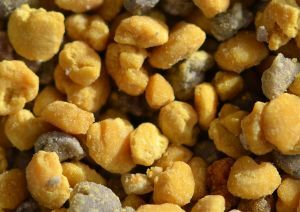 Dried bee pollen is made through a process of drying and purifying. After that the water content would be of 6 g per 100 g pollen. Of course, during these processes there will be losses of vitamins ( pro-vitamin A, vitamin C, vitamin E and β-carotene) and some other important nutrients. 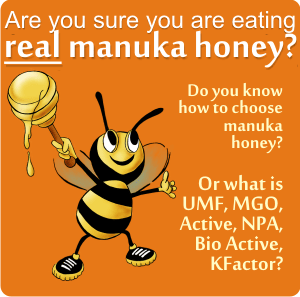 What’s the composition of bee pollen? The composition varies according to the flower of provenience. Generally it contains: proteins, lipids, dietary fibre, pectin, minerals: potassium, magnesium, calcium, phosphorus, iron, zink, copper, manganese; vitamins: b-Carotene, B1, B2, B3, B5, B6, C, H, E; carbohydrates. 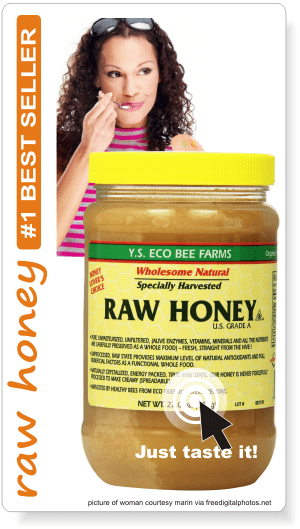 As an average 100 g pollen contains: 20 g protein, 60 g carbohydrates 8 g fat and approx. 300 calories. According to the flower of provenience, the pollen can be of different types. This is important because such a unifloral pollen has constant composition and thus can be successfully used in nutrition and medicine. Bee pollen is low in calories but rich in proteins. It is antibacterial, anti-fungal, antioxidant, radiation-protective and hepatoprotective, anti-inflammatory, anti-osteoporosis, anti-diarrhoea, immunomodulating, probiotic and prebiotic, anti-aging, antiatherogenic. Its ability to rejuvenate the body, stimulates organs, enhances vitality and accelerate rate of recovery makes it a very popular tonic among sportsmen. – Turkish pollen has inhibitory effect against 13 different bacterial species pathogents for plants. – Brazilian pollen has antibacterial activity against: Staphilococcus Aureus, Bacillus Subtilis, Pseudomonas Aeruginosa and Klebsiella Sp. Pollen also has similar antibacterial components as found in propolis and honey-combs, which are active against Streptococcus Viridans. An antioxidant is a molecule capable of slowing down or preventing the oxidation of molecules. Nowadays the medicine says that the oxidative stress leads to the development of chronic and degenerative diseases like cancer, autoimmune disorders, aging, cataract, neurodegenerative, cardiovasculare diseases etc. The antioxidant activity in pollen compared to that in most vegetable and fruits is 200 to 1000 times bigger. This activity depends on the flower species and geographic origin. Among the flowers that lead to pollen with very high antioxidant activity: Matricaria, Salix and Cistus Ladaniferus (and Incanus) (see images below). The pollen has an anti-radiation effect exactly like that of beta-carotene oil, the studies reported. Cistus Ladaniferus pollen was proved to have the highest effect. With a powerful hepatoprotective effect: Cardus and Castanea. Pollen contains the following flavonoids: quercetin, rutin, chyrisin. There have been made a lot of studies and researches which included: Brassica, Salix Alba, Cystus Incanus, Rosa Rugosa. Inflamation of tissues and cells are caused by biological or physical agents and free radicals. The Pine Densiflora pollen have antinociceptive and antiinflamatory properties. The same activity was detected in Cistus pollen originated in Spain. Osteoporosis is a reduced bone strengh due to reduction in bone mass/arhitecture that increase the fracture risk. The Cistus Ladaniferus was proved to have stimulatory effects on bone formation (in vitro). For this it was used pollen dissolved in water. A reduced number of red cells was increased using 10 g/kg/ day of multifloral bee pollen. Gramineae pollen vaccine against hay fever has proved very good results so far. Aqueous pollen extract was used with very much success in house-dust asthma. Pollysat decreases the symptoms of hay fever. Homeopathy also uses grass pollen preparations in treating hay fever. Probiotic & Prebiotic activity, Anti-aging. The pollen is also used to heal alcoholism. Children (2-6 years old): 1 teaspoon daily (5 g). This dose can be taken for 3 months a year, during winter. Adults: 20-50 g daily, taken 3 times a day, 1-2 hours before meals. For a better digestibility, pollen must be soaked in water over night (or for a few hours). If it is not soaked, make sure you chew it very well. 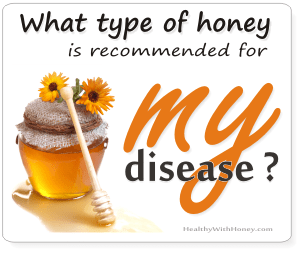 It can also be mixed with honey. adults: 30-40 g (4-6 teaspoons) pollen (or 12-20 g beebread) daily for 3 days, then half this dose for another 2-6 weeks. 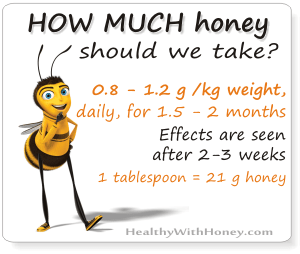 children: 0.4-0.6 g pollen (or 0.2-0.3 g beebread) per kg body weigh, daily, for the first 3 days and then half the dose for 2-6 weeks. After one month break, the treatment can be taken again. Hippocrates and Pliny the Elder also called Fathers of Western Medicine, recognize the healing qualities of bee pollen and prescribe it to their patients. In new times bee collected pollen began to be used for human nutrition only after the second world war. Fanica Voinea Ene, Sa ne tratam singuri, Ghid de terapie naturista, 2006. Taylor M, Reilly D, LLewellyn R, MCSharry C, Aitchison T (2000) Treatment of seasonal allergic rhinitis using homeopathic preparation of common allergens in the southwest region of US: A randomized controlled clinical trial.